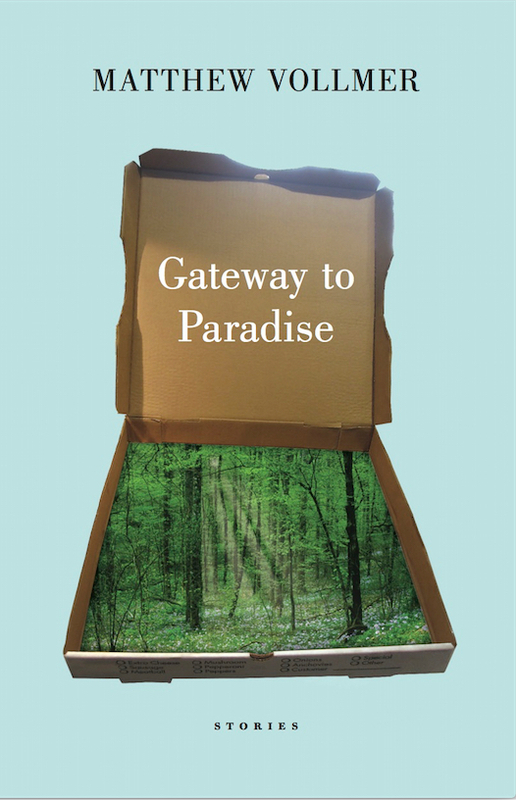 The six stories in Matthew Vollmer’s Gateway to Paradise (Persea books) plow dark furrows across the landscape, furrows at once unified yet unique, parallel channels promising individual reward. The unifying darkness is subtle, distinct, reassuring in its way. It is a darkness that blooms rather than dooms, mesmerizes rather than terrifies, reveals rather than obscures. As for what keeps each story fresh and unique: Vollmer’s dark field flowers with the supernatural, the steadfast, the ridiculous, the sublime. Salvation. Penance. Downtime traffics in a widowed dentist’s experience with the supernatural while Probation probes steadiness amid despair; The Visiting Writer explores the ridiculous through a wry self-awareness and Dog Lover gives us one woman’s heart-quickening effort to hit that spot long overlooked by her husband. Scoring shows how easily we can cave to flattery and the concomitant need for salvation, while the title piece, with its great potential for total blackout, veers into a penance no reader could predict. Probation impressed me most of all. Vollmer crams so many disturbed components into the story that it’s impossible to look away. Try putting it in a sentence. A cuckold named Abe on probation (not for avenging his wife’s infidelity in the grocery store break room with a geriatric named Hogsed who wears a braid to the waist, a video of which fornication has gone viral across a small cracker town), drives around in search of the 12-year-old daughter he fears is the victim of an age-mate sexual predator while narrating for his son what he did to wind up on probation in the first place, a story involving an FBI chopper haunting the mountains in search of abortion clinic bomber Eric Rudolph, a laser pointer, and some bad judgment. The collection sounds great fun. I’ll keep an eye out for it.